So what defines an “It” Person? How about buzz, panache, je ne sais quoi, currency, a person whose time has come, a person of tomorrow, a timeless person, noteworthy, below the radar, in the news, in the know, hot, cool, high impact, slippery, a mover and shaker, a humble saint, a behind-the-scenes operator, a scenery chewer, an unsung hero, a hero who knows how to sing. It’s a quality that’s hard to define, but you know it when you see it. Above is one member of the 2006 It List. 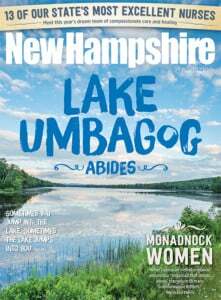 To see the entire New Hampshire Magazine It List for 2006, click here. To make a nomination for the 2007 list (now under development) drop a line to editor@nhmagazine.com.